Rubi Sullivan is one of Portland’s most beloved animal pros and SIX-time Top Dog Award winner for Holistic Wellness Practitioner. Come behind the scenes with Spot and get to know Rubi better . . .
Spot: Did you ever dream growing up that you’d end up where you are professionally? Rubi: No — I didn’t even know it was an option! Spot: How did you get here? Rubi: Growing up as an only child, being around animals all the time . . . seeing them go through the life cycle. We had many pets, and I always cared for them. I knew I had a drive to be around animals and pets. I went to college to be a teacher, thinking teaching was great and it would be fun; but while I love kids . . . it wasn’t the right fit at this point in my life. Then I discovered there were schools to learn animal massage, I went for it, and after school I knew I was doing the right thing. I feel so fortunate to do this every day. Spot: What’s your favorite part of the job? Rubi: When I get a dog that’s either tricky or new . . . to really have it understand why I’m there and enjoy its session. Spot: What would “tricky” be? Rubi: Oh, a pet that’s uncomfortable or nervous in the beginning . . . fearful or wiggly. Spot: What’s your biggest challenge? Rubi: [Laughing] . . . scheduling! Spot: What are a few of the top benefits of massage? Rubi: Better mobility. I’ve had owners tell me massage lengthens their pets’ lives. Also, it warms my heart to see an uncomfortable dog enjoy his or herself and sink into the massage — a person getting to see their dog relax. Spot: What’s your dream for the future of animal massage? Rubi: It would be amazing to have more massage therapists to provide dogs and cats these benefits. I see so many happy animals benefiting . . . so — more! Spot: Where do you see the field of animal massage headed? Rubi: There is a better understanding thanks to education available to pet owners. I see it trending up — with pet owners and therapists. Spot: Do you get regular massages? Rubi: I do! They help so much with my own muscle tension, stress relief and overall rejuvenation. They make a world of difference! Posted in Feature, Health/Wellness, Pet Biz, Top Dog Winner and tagged with Health, Massage. February 1, 2014 by Spot Magazine. Given the wealth of animal services in the Portland area it may seem hard to believe that emergency services for animals is relatively young. In 1973, local veterinarians typically handled their own emergency cases or spelled one another in times of need, but a void existed, especially in extreme cases. Enter A.B. Lewis, who honored his late, animal-loving wife, Dove, by donating funds to open Portland’s first emergency veterinary clinic. Members of the Portland Veterinary Medical Association formed a board of directors, and the nonprofit DoveLewis Emergency Animal Hospital was born. In August 2013, DoveLewis celebrated its 40th anniversary of providing emergency and critical care services to animals. Over the last four decades the hospital has also pioneered community services such as the Pet Loss Support Group, Blood Bank, and Velvet Assistance Fund. From state-of-the-art medical care to free educational and therapeutic workshops, DoveLewis has a hand in almost every aspect of animal services. Another much-unknown aspect of DoveLewis, Morgan feels, is the breadth of knowledge of its veterinary staff. He says many people don’t know that Dove is a teaching hospital, drawing medical professionals from across the country and the world, to learn from its medical staff. DoveLewis's critical care is one of the best in the country. Another new program expanding upon the hospital’s educational efforts is an on-demand, online training tool, “On The Floor at Dove,” which offers veterinary professionals — including doctors, vet technicians, practice managers and even front desk personnel — educational videos on procedures and management practices. Expanding programs and finding ways to further its mission are at the forefront of DoveLewis’s vision for the future. “We’re spending a lot of time now looking forward, not just on what got us here, but what’s going to keep us here and thriving,” says Morgan. To learn more, visit DoveLewis.org. Nikki Jardin is a Portland-based freelance writer who loves to write about people dedicated to making the world a better place for all beings. Posted in Animal Welfare, Feature, Health/Wellness, Pet Biz, Top Dog Winner and tagged with Vet Care, Emergency Care, DoveLewis. It’s remarkable for a two-years’-young business to sweep in readers’ choice awards, and not only did A Dog’s Best Friend Doggie Daycare earn 1st Place for Dog Grooming, but the business earned votes in SEVEN categories. Long-time friends Anne Nipp (Owner and avid dog lover) and Jaime Ross, General Manager, took over the Vancouver business in November 2011. “We’re great at providing a wonderful product as well as a creating good relationships with our customers,” Ross says. The business is a good neighbor, sponsoring pet and non-pet-related community events alike. Anne’s grooming skills earned them the 1st Place win this year. “She takes a lot of dogs that no one else will take anymore, like special needs or geriatric dogs,” says Ross. “We sit on the floor and groom them if they can’t stand for too long.” Groomer Shayla Saldano joined the team in July 2013 and, according to Ross, has contributed greatly to the salon’s success. They have spiffed up both Vancouver locations. “Our daycare is special for a variety of reasons,” says Ross, “our facilities are top of the line. We use amazingly good products; we have great floor surfaces and outdoor areas with K9 in our backyards. 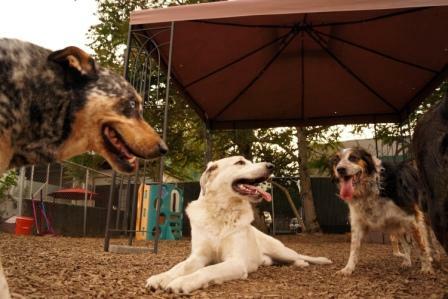 We’re able to make up to six different playgroups at a time, and we have highly skilled employees able to identify personalities so we maintain a happy, safe environment for our guests.” We recently added a trainer on staff help manage the playgroups and support employee knowledge, and with dogs that need special handling. 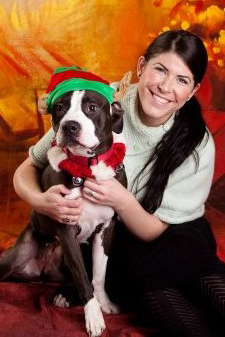 Posted in Top Dog Winner, Pet Biz, Life with Pets and tagged with Daycare-Dog, Doggie Daycare. Why have a good puppy when you can have a “wonder puppy”? That’s Casey Newton’s question, and her customers have answered — honoring Wonder Puppy with three first-place wins. Wonder Puppy won 1st Place in Training/Behavior Services, Playgroups/Spaces, and Individual Trainer (Kerry Ryan), the latter finding four WP trainers in the top 10. Newton is gaining recognition in the dog training world. She is the animal trainer for the popular television show “Portlandia,” and has done casting for the show. “So fun!” she says. Newton also offers webinars on puppy training and will travel to Chile in November to speak and present workshops at the Association of Professional Dog Trainers conference. Now, she’s ready to spread her wings even more. Newton recently moved to Los Angeles part-time, and has plans to develop an iPhone app. She’s also developing videos to support puppy parents who want to learn the Wonder Puppy way wherever they live, and is considering franchising in coming years, opening in Southern California and possibly East Portland. “It’s really exciting,” she says. Posted in Behavior/Training, Pet Biz, Top Dog Winner and tagged with Behavior, Training. Mesher and Dillon have been friends since meeting in vet school. Mesher graduated in 1999; Dr. Dillon has been practicing since ‘96. Mesher began doing house calls for another vet in 2004. 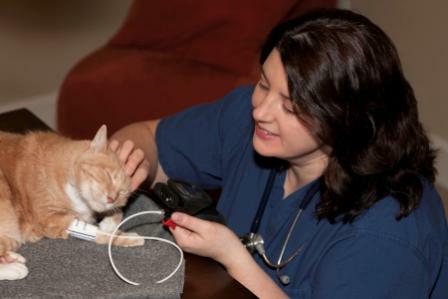 “I knew house calls were an underutilized type of vet practice and that there was a need for it,” she says, “and I knew that was what I wanted to do.” She hired her first full-time technician in 2010 and has continued to grow. Soon they hope to expand services from five to seven days a week. Posted in Health/Wellness, Pet Biz, Top Dog Winner and tagged with Health, Vet Care. “Gosh!” says Evan Smith, about learning that his shop, Canine Utopia in Vancouver, won Top Dog Awards in eight categories this year. “We strive to be different,” he says. That humility and kindness helps make them a perennial favorite with pet owners, coupled with Evan’s and partner Jason’s commitment to using all natural products. Starting their business was “a grass-roots thing,” says Evan. After looking into purchasing an existing business, they decided to do what they wanted they’d have to build it from the ground up. The business’s feline side is now expanding — being painted “Tabby-cat orange” to match Gordon. The couple thoroughly researched pet product manufacturers before opening. “We visited plants and worked with the manufacturers on their recall history and product sourcing to make sure we were living up to our standards of quality products,” explains Smith. Smith says one concern around food recalls is companies that co-pack. “For example,” he says, “Diamond manufactures 17 food lines and we learned that their machines never turn off; they run seven days a week, 365 days a year. If they never turn off, they aren’t getting cleaned, so it tarnishes the outcome of the food.” All of Canine Utopia’s products are independently packaged, and they support other small businesses whenever possible. Mindy says while experimenting with different foods to find the right one, Evan and Jason were very helpful, patient, and generous with samples, “Which helped a lot. We need those anchor business in Vancouver, and Canine Utopia is a perfect example of that,” she says. Posted in Health/Wellness, Life with Pets, Pet Biz, Top Dog Winner and tagged with Food Consultant, Vancouver. After spending more than a year studying apparel design at the Art Institute in Portland, Emily Lariviere realized her aspirations had strayed from those of most of her fellow students. Listening to classmates talk about couture wedding dresses or becoming the next thing in fashion, Lariviere held onto a closely guarded secret. Born out of that early inspiration and a desire to find a better-fitting, hipper-looking jacket for her own dog, Lariviere launched Muffinhead in November 2010 after finding other dog jackets wanting — either being too “cutesy” for her rough-and-tumble Pit Xavier, or too cheaply made. “I felt a bit of lackluster with what was out there,” Lariviere recalls. “I didn’t feel like [the jackets] expressed who Xavier was and they had kind of a weird fit for his body.” After gathering several retail jackets, Lariviere hired a seamstress and came up with a pattern based on qualities she liked and didn’t like. “I know there are only so many ways to fit a dog’s body,” she says, “but there were a lot of little things I had to take into consideration” — for example whether a jacket goes over the head or fits through the arms and legs. Lariviere is looking forward to building on the success Muffinhead has had in the last two years and is optimistic about continuing to be a larger part of the community, even knowing there is plenty of work ahead. Indeed. Check out Muffinhead’s wares and learn more about its sustainable practices at MuffinheadDog.com. Posted in Feature, Pet Biz, Top Dog Winner. April 25, 2013 by Nikki Jardin - Spot Magazine.